We are excited to reveal the 2019 GBC Workshop kit – Sawtooth, designed by John Brost. Sawtooth is a larger, more complicated build and a more pure Technic build than the last couple years which were smaller and have used a significant amount of system bricks (studded parts). Sawtooth is 320 pieces and can be built at a casual pace in about 90 minutes for the average builder. This kit will be available via the workshop signup in May. If you are registered for the Brickworld convention, you will get a more detailed email about workshop signup in early May. After building your module, it can be put into the GBC loop for the weekend to help us break 300 modules and set a new world record for the number of modules in a GBC loop. Bring back previous year kits and your own personal modules and be a part of the most exciting LEGO based collaboration there is! We are excited to announce the Baja Challenge. An off-road style remote control race. The competition will be split into two classes to keep it fair for various participants. Read more at https://brickworld.com/challenges/. Go ahead, motorize a large scale version of a Brickmania tank. We dare you. Early registration for the convention ends April 30th. Don’t miss out on the fun! We are excited to do the full reveal of the artwork for “The Moon and Beyond”. The artwork this year was created by Mark Larson and includes a fleet of the 2019 Hummingbird event kit. The Hummingbirds are casually flying past a base on the moon. Where they are headed is up to your imagination. We are excited to have finally added the ability to log your donation for the charity fundraiser electronically, instead of with a paper form. Why is this such a great thing? If you are considering donating items for the fundraiser, thank you! We hope that you can take the time well in advance of the show to enter your information. The auction coordinators receive a notification email whenever you enter an item. So, they can get back to you with any questions. You can access the form from your My Page if you are registered for the show and logged into your account or you can simply use this link. Anyone is welcome to donate items and send them with someone else or ship them to us if you aren’t attending. All donations are appreciated and as always, 100% of the fundraiser proceeds go to our charities. You can read more here. If you have questions about donating an item or bidding in either the silent auction or live auction, please contact us. Brickworld is pleased to announce our keynote speaker for Brickworld Chicago 2019 is Mr. Kevin Hinkle. Kevin is a Freelance Artist who specializes in Graphic & Brand Design, Animation, Illustration & Model Making with LEGO Bricks. 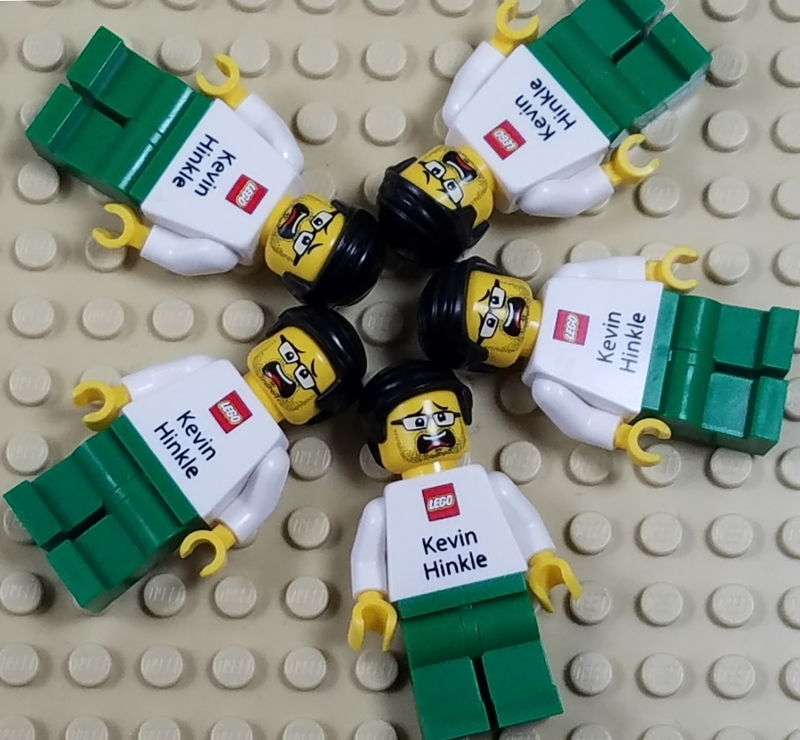 Prior to his self-employment, Kevin spent more than twelve years working at the LEGO Group in the fields of Retail Management, Community Engagement & Marketing Integration. Although he currently resides in Connecticut with his wife and two children, he and his family have spent time living in Colorado, Arizona & Texas as well. 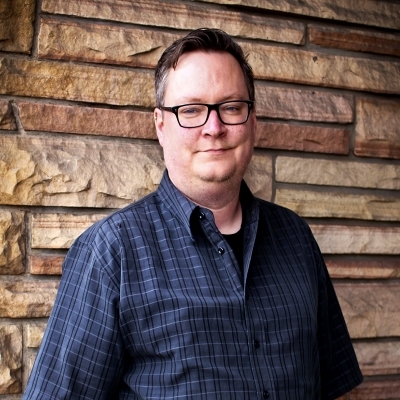 Kevin earned his Bachelor’s Degree in Fine Arts from the Rocky Mountain College of Art + Design in Denver, Colorado in 2008 and has aspired to operate in creative fields for a majority of his life. The LEGO hobby exemplifies this passion, and as such, LEGO bricks now enjoy mental and physical real estate among his more traditional artistic tools. Kevin is a member of CoWLUG, Cactus Brick, TexLUG, ConnLUG, GamerLUG and a contributor to both BrickJournal & Brick Fanatics Magazines. As the LEGO brand has further secured its footing as a cultural phenomena with theatrical films, traveling expositions and expansion into social media (to name a few examples! ), its enthusiastic and diverse community of fans have followed a similar path of growth and evolution.Kevin will share his observations & reflections from spending six years, literally being paid, to monitor the LEGO fan community across the United States. In case you missed it, registration for Brickworld Chicago is now open. Don’t miss the fun of being a convention attendee! We are happy to announce that the set drafts for 2019 have been finalized. 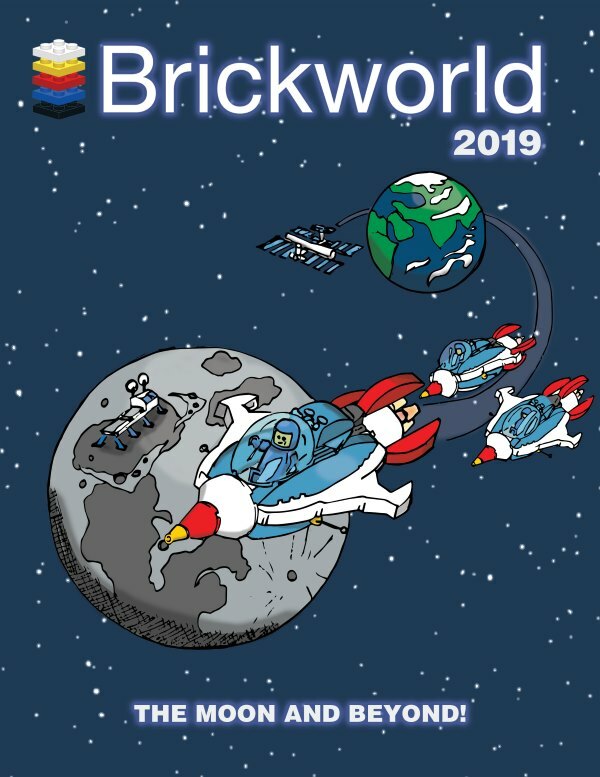 The drafts are all listed on the Brickworld web site (https://brickworld.com/set-drafts/). Some of the drafts will have 10 kits available for pre-order (you will see them after you have registered) at a discount to the MSRP. These sets are specifically for drafting purposes (not so people can just buy sets). They will be provided to you at the draft and must be drafted. Each registrant is limited to 1 set so that everyone has an opportunity to participate. If we get out into April and all of the sets are not spoken for, we may lift this rule. Please police yourself as we don’t like being put in a “bad cop” position. Also, the sets listed will be the only official set drafts. So, if you want to lead a draft, please pick from the sets listed when you sign up to lead. As always, you can participate in any draft by bringing your own new, unopened set to the draft. This applies to the drafts where we have kits available also. Brickworld has completed distribution of all of the money raised at the 2018 fundraiser, including donations to Make a Wish, FIRST LEGO League in Indiana and Illinois, Creations for Charity, and Riley Children’s hospital in Indianapolis. The final donation was the purchased sets donated to Riley this week. We thank everyone that made these donations possible. And, we are honored to make the set donation to Riley in memory of Kiersten Grace Woodward. We look forward to another successful fundraiser at our event in Chicago in June 2019. Click here to learn more. If you would like to donate an item to the fundraiser, you can submit information online here. Today is International Day for Persons with Disabilities. In honor of this day, we would like to share with you a story from Brickworkz and Project Just Like You. We would also like to take this opportunity to announce a new award for Brickworld Chicago, The Display Inclusiveness Award. This will be a judged award given to the person/people and display(s) that do the best throughout the show of being accessible and inspirational for people with disabilities. The Moon and Beyond!! …yes, that’s right. Brickworld is returning to a space theme in 2019 to honor the 50th anniversary of man landing on the moon. It seems fitting to talk about the theme this week after the successful landing of the Insight probe on Mars. And while Insight may be stationary, we are excited that our event kit might just depict a way to visit Insight sometime in the future. 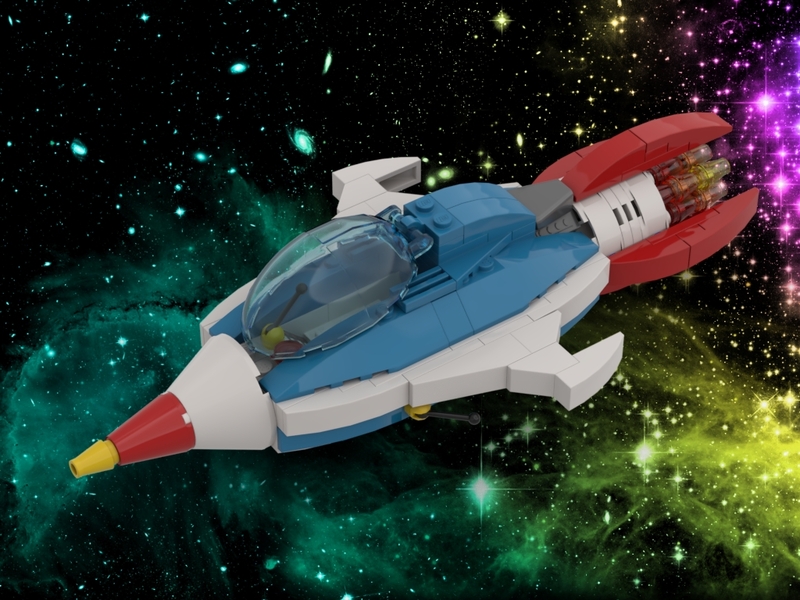 A small manned spacecraft, dubbed The Hummingbird, designed by 2018 Brickworld Master Mark Larson was the winner of the event kit contest this year. These kits will be available via pre-order when you register for the convention in Chicago. Sales are limited to 1 per registered attendee and only 100 will be available. Event registration will open on January 1. Register for an account on the Brickworld website to get more updates about the convention in the coming weeks. 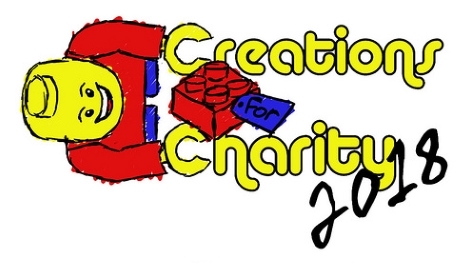 Creations for Charity is a nonprofit organization supported by the fundraiser we do every year in Chicago. But, there is always more we can do. Please take a couple of minutes to watch this video and hear directly from founder and AFOL Dr. Nannan Zhang about this organization and what it does for kids. Then, please consider checking out the Bricklink page to purchase some of the cool items people have donated for this year’s effort. Good morning. Brickworld is excited to open a new realm on our website today… Guest bloggers. If you are interested in writing a guest blog for our site, please contact us. Obviously, it has to have something to do with Brickworld. Play well! And, enjoy our first guest blog from Ted Andes. In the movie “2001: A Space Odyssey”, a large black slab of extraterrestrial technology is discovered by our presumed hominid ancestors, causing a considerable shift in their evolution and marking the dawn of humanity. Thousands of years later at Brickworld 2017, another significant discovery was made; a number of “White Brick” monoliths had been placed around the display hall, sometime during the dawn of Sunday morning. Sure enough, they appeared yet again at Brickworld 2018. Perhaps they are the harbinger of another shift in evolution?… an evolution in both the LEGO convention experience and in the community of builders at large? The White Brick – Ted Andes. The “White Bricks” are the same size and shape as the existing red, brick-built trophies given to the winners of each Brickworld awards category. As with the monoliths in “2001: A Space Odyssey” these “White Bricks” also contain many mysteries. One of which is that these bricks are actually hollow boxes that contain a surprise MOC inside, personalized to the receiver (which I didn’t realize at first). So where did they come from? Why did they start showing up? Since the “White Bricks” closely resemble the Brickworld trophies, one might first believe that their purpose is to recognize noteworthy displays that were passed over for an awards nomination. If you haven’t attended Brickworld Chicago, the award nominations are given out in predetermined categories; Best Vehicle, Best Spacecraft, Best Mech, Best Building, etc. People certainly build their MOC’s to purposefully fit them into these categories, while others consider the categories after the fact (and some even make them fit on a lark… “cough, cough…”). Each year, many epic builds fall through the cracks when it comes to receiving a nomination. Perhaps they don’t fit well into any category, or they just get lost in the sheer number of awesome displayers that year. I’m sure there are other considerations too, but I would only be speculating since I am not involved in the awards nomination process in any way. The “White Brick” started appearing in 2017 on such un-nominated builds. I remember that Andrew Mollmann and Cecilie Fritzvold were two recipients of the “White Bricks”. Andrew had built a most excellent “Grand Budapest” façade that year. I’m not sure which of Cecilie’s builds that her white brick was placed in front of (perhaps for her “Goomba”? ), but she did have a banner building year in 2017. She had received a Brickworld award nomination for best vignette, and was also part of yet another “Best Group Layout” win for the Eurobricks collective (they won this year too! – 3 years in a row!). Cecilie even defeated Chris Maddison in the “Iron Builder” competition earlier that year, which was no small feat. This year, however, the “White Bricks” weren’t only placed in front of un-nominated builds. Learning who else received them has led to an important discovery regarding their true intent; The “White Bricks” recognize those people who make the Brickworld experience special in some way, not only through creating displays but also through meaningful engagement within the community. One such “White Brick” was given to a renowned Brickworld vendor, Victor at eclipseGrafx. At first he had thought a customer accidentally left it behind at their booth. When he opened the box, however, he discovered his eclipseGrafx logo placed inside. Victor has always been a great supporter of the building community. He definitely stepped up in a major way during the speederbike contest that I hosted this year on flickr, creating custom printed tiles that we distributed to worthy participants. Victor receiving a “White Brick” was great recognition for all that they do, and well deserved. I know receiving it meant a great deal to them. Our friend Simon Liu received a “White Brick”, although technically it wasn’t actually white. It had been built using trans-clear bricks, and integrated into the middle of it was the red “Heart of Brickworld”. There is no doubt that this brick belongs on his shelf. From my very first Brickworld, and probably from his first, he has set a positive paradigm for others attendees to follow; inclusiveness, generosity, kindness, always build something new and fun, etc.. I was happy that I could extend some of that hospitality back to him prior to Brickworld this year. Simon was so taken in by the charms of Louisville, KY (where I live) during his 2017 “Pub Scouting” trip that he made a return trip. We got the chance to hang out the weekend before Brickworld, along with Alec, Caleb, and Evan who joined him on his “Brickworld or Bust 2018” tour. I guided them to rockin’ local distilleries, hot-chicken joints, brick stores, escape rooms, and a meet up with other local builders like John Klapheke too. Good times. Matt Rowntree received a “White Brick” too, but the MOC contained inside was SO personalized that its meaning would be lost on the casual reader (and due to its NSFW design, likely misinterpreted). Fortunately, the anonymous distributor of the “White Brick” made sure that the appropriate meaning was relayed to Matt; it was a deep appreciation of how he continues to be a voice in the building community that “keeps it real”, and the MOC was very symbolic of the way in which he does that. I myself was honored to receive a “White Brick” placed in front of “The Race at Shadowlands” collaboration. We didn’t receive any official award nominations, but the Best Group Layout category is always a tough competition and a tough nut to crack. My goal for the display was simply to put on “one great show”, and achieve my vision of creating a speeder race layout that actually moves. The “White Brick” was great recognition for all our efforts, creativity, and innovation in that endeavor… However, I later learned that the “White Brick” was actually recognition for much MORE than that. Inside of the brick-box contained a cool little Portal MOC. I hadn’t thought that deeply about why that was the MOC inside, but Matt told me it was a metaphor to how I opened up a “portal” for so many others to join in on the fun. It is true that I could have just done a solo layout, but for me it is so much more enjoyable at a convention to “open it up”, to be inclusive, and share in the building experience. I do strive to recruit at least one new person to collaborate with at Brickworld each year, and leverage their unique artistic vision and talents. It is putting into practice a question that Keith Goldman used to always close his blog interviews with; “If time, money and proximity were not an issue, name 2 builders that you’d like to collaborate with on a project?” For my first Brickworld in 2016, I successfully inspired Christopher Hoffmann to join me in creating an impromptu “Tech-West Speederbike Rally” layout. In 2017, it was Jen Spencer that I had convinced to come to her first Brickworld. She provided an outstanding backdrop hive-town for the “Great Steambug Migration” collaboration. This year I tapped into the skills of some Brickworld veterans that I had always wanted to collaborate with. It all started with a conversation that I had with Dan Church after BW 2017, as we share a similar sci-fi aesthetic style. Once we honed in on the idea of a speeder race set on a black, alien surface we just had to get Barbara Hoel involved with her alien botany. She had actually always considered her plant sculptures as “space” creations, so it was serendipity. I was absolutely overjoyed to see that she had received a nod for Brickworld Master Builder this year, and that we were able to give her another platform to showcase her awesome aesthetic and skills. The collaboration was rounded out by a whole host of other “Orphans & Outliers” who I always enjoy socializing and building with, or I had always wanted to. Everyone’s efforts and support really turned this display into a crowd favorite. Special thanks also goes out to Dennis, who rode “shotgun” for me during the drive up from the Louisville area, and was my right hand man during the entire set up (even during those times when I didn’t know which end was up). He also pulled together this awesome highlight video of the collaboration. Those thoughtful touches like the Portal MOC are what make the “White Bricks” all the more meaningful and impressive. You have to look beyond the surface and see the deeper symbolism inside of them. I admit that I was originally a cynic when they first showed up last year, and I judged these blocks by their cover. I was blind, but now I see. As far as I know, the mysterious distributor(s?) of the “White Bricks” has yet to be identified or step forward. Noticing how personalized the MOC’s inside of them were to the receiver, you begin to wonder if the distributor is someone that all of the recipients know… Or perhaps there is a “White Brick Illuminati” watching over us? I’d prefer that the anonymous distributor(s) remain anonymous, so these are questions best left unanswered. The mystery is what makes them even more special. To date, I don’t think the interior MOC’s have ever been repeated. It makes you wonder how many of them were premeditated (like Victor’s and Simon’s), and how many were prebuilt and looking for a worthy recipient. For example, was I always destined to receive the Portal MOC, or was it pre-built and looking for a worthy recipient?… Or even more impressive, did the distributor come up with the interior MOC ideas while at Brickworld and build them on-site? Looking back at the “White Brick” MOC that Cecilie received in 2017, perhaps that random “ant” that was inside wasn’t so random either. It could have been recognition of her quiet outward demeanor, yet you couldn’t help but notice all of the amazing things she ended up dutifully building, carrying a building load 100 times more than expected. There are certainly others who have taken up the recognition cause. 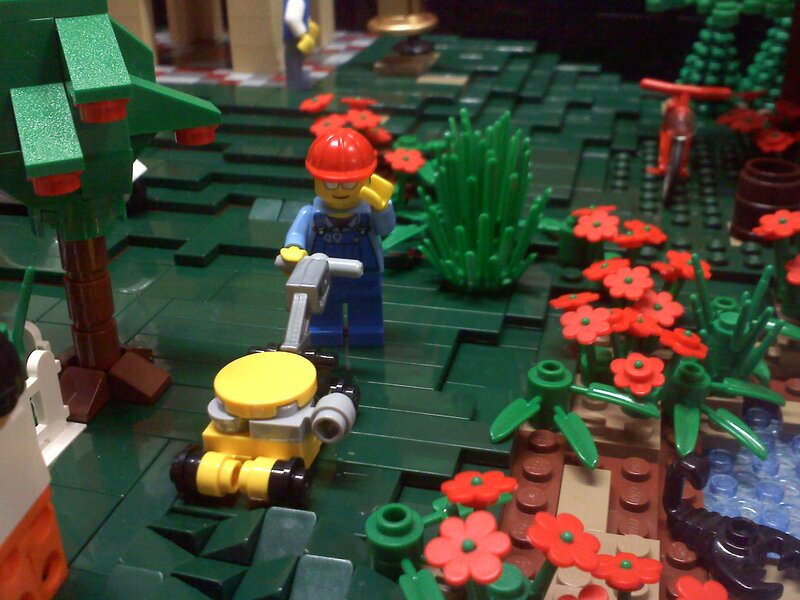 I’ve heard that there were some snails, shrubbery, and baby-speeder MOC’s left as tokens of recognition this year. For those that have received a small MOC that the prior year’s Brickworld Master Builder placed out, I hope their ubiquitous distribution hasn’t lessened their impact as a sign of personal appreciation (as was always their intent). It’s easy to take that meaning for granted, and view them as a breadcrumb trail that the “Master Builder Wuz Here!” Rather than being a trail to follow, trophies like these and the “White Brick” should encourage us to keep following our own visions and forging our own paths. This is a lesson that I am definitely taking to heart. All the time I spent on getting the speeder-coaster running (and keeping it running) was worth the effort, but I definitely had less time to appreciate everyone else’s creativity. It felt like I didn’t get to socialize with everyone nearly as much as I had wanted to as a result. “Sorry” to all of you that I didn’t get to meet this year or talk with more. I hope that non-official, personalized trophies like this continue to proliferate in the community. 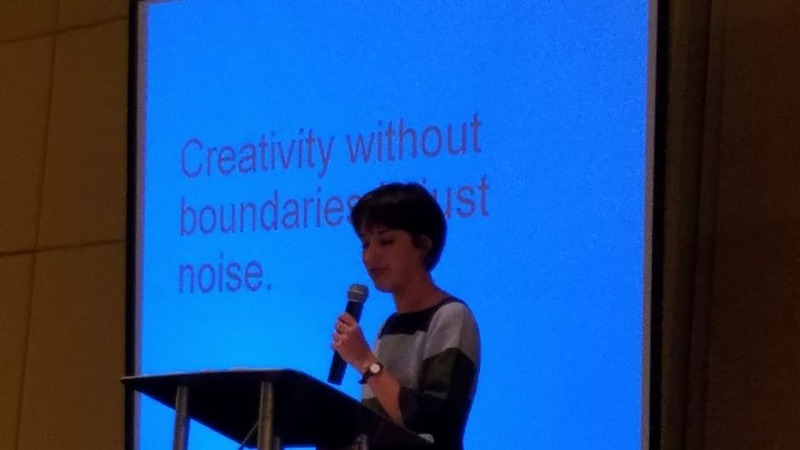 Rather than falling into the self-centered trap of an awards competition, we all need to show better appreciation of each other’s creativity and contributions. It really is true that it is better to give than to receive. A special congratulations to Mark Larson for earning the Brickworld Master award. As has become tradition, we have published the instructions for the Great Ball Contraption workshop kit to the Great Ball Contraption website. You can find them here. Please feel free to use them to build your own copy. Use different colors. Change the design. Just please don’t use the instructions to sell kits yourself (play well). Yes, we are already looking forward to 2019. Why should you care? Because the event kit contest for 2019 is live NOW! The theme for 2019 is The Moon and Beyond. And, we want the event kit to fit nicely into our planned artwork. So, we are looking for event kit submissions that are spaceships. We have a great tradition of random attendees winning the event kit contest. As has been proven, this is wide open and we love to see your submissions!! The contest is open to anyone. The winner will receive 1 boxed up copy of the kit and their name will be on the event kit box as the designer and announced in the opening ceremonies at Brickworld Chicago 2019. Happy building!! Let’s find out who the master builders are in our LEGO universe. We announced the Brickworld LUG Network about 6 months ago and we are excited to announce that it is starting to have a tangible impact within the community. As a result of ideas from within the Brickworld team, several of the LUGs attending Brickworld Chicago next week will be handing out their own awards at the event. We think this will have a great positive influence as it demonstrates the giving nature of the community. It encourages interaction between groups. And, it brings recognition to things that are special at the event. There is no requirement to be a LUG to do this. If you feel it, do it. There have been individuals in the past (Bill Bourn comes to mind) that have given away awards of their own. So, while this isn’t a new idea, this might turn out to be the grandest scale on which it has happened within the AFOL community. Watch for these special awards next week at the show! Main load-in for displays will be on Wednesday afternoon, June 13th from 1 PM – 5 PM and Thursday morning, June 14th from 8 AM through 12 PM (noon) CDT. Large Displays: If you are part of a LUG or LTC, or if you have a large display requiring a flatbed cart or hand truck, you will need to make sure you are at the convention hall to unload during the times above, as these are the only hours that the large 20ft wide/tall “elephant” doors will be accessible (since a dock warden must be present). If you are unable to be at the hall and unloaded during the times listed above, please contact us immediately so that we can make other arrangements. Weather permitting, you will be able to drive your vehicles into the display hall to drop off tables/displays. Access will be permitted on a first come, first served basis and requires explicit approval from Bryan Bonahoom or Brian Elzer. The ramps to drive-in to the hall are at the back of the convention hall. We don’t know which ramps will be available at this point. Please line up in an orderly fashion, taking care not to block the roadway or parking areas. It will be up to our discretion whether or not your vehicle will be able to drive in, based on how many other vehicles are already in the hall, the size of the vehicle you have, what you need to unload, and whether or not you’ve been off-roading recently. So, ask BEFORE you wait in line. The dock warden has final say on anything regarding vehicles. Please adhere to what they tell you to do. Small Displays: Individuals with smaller displays will be allowed to hand-carry their displays in through the front doors of the halls anytime after 1 PMWednesday afternoon. You do not need to be in before 5 PM unless your display will not fit through a standard 36 inch doorway. Vendors: You may load in through the front doors of the halls anytime after 1 PM Wednesday afternoon. You do not need to be in before 5 PM unless your display will not fit through a standard 36 inch doorway. If you feel you need to drive in to unload, you need to follow the rules of Large Displays above. This includes getting approval from Bryan or Brian. Individual & Group display spaces will be marked off on a poster which will be on display at the front of the hall. Once you have arrived, please consult the map before bringing in your displays. This will help you determine where to go without the struggle of a handful of displays. If you or your club have opted to bring your own tables, there will be chalk marking off the corners of your area on the floor. If you do not see your name/club listed on the poster, please contact Bryan for assistance. Bryan will be available on Wednesday 1 PM and 5 PM and as much as possible Thursday to answer questions and direct folks to their locations. For any questions prior to Wednesday, you can also reach out to us by email at layout at brickworld.com. Friday: If you are not scheduled to arrive until Friday, you will be able to hand-carry your displays through the front doors of the display hall during the day and evening. How to Load Out on Sunday: We will open the large doors on Sunday starting at 3:30 PM. The dock master controls how many cars are allowed in the room at once. Because of the number of people (especially kids) in the room, we require that any vehicle entering the room be escorted by 2 people walking with the vehicle. Do not bring your vehicle into the room until you are fully ready to put stuff in the vehicle and then exit the room. While your vehicle is in the room, there are other vehicles that will not be allowed to enter. Please follow direction given to you by a Brickworld coordinator, Brickworld staff, or the dock master. They are probably taking factors into consideration that you might not be aware of and it will just help keep things running smoothly. Remember that by Sunday afternoon we are all tired. Do not plan to drive in Sunday unless it is absolutely necessary. It just makes life simpler because there are so many people packing and leaving at the same time. Display Requirement: All displays are required to be set up by 10 AM Saturdaymorning, prior to beginning of public day hours, and must remain up until 3 PMSunday afternoon at the close of public hours. Viewable Sides: You may not have all sides viewable that you requested. There are simply too many displays and special requests each year to accomodate them all. At least one major side of each display is directly viewable from an aisle. Please be flexible and remember that attendees will have plenty of opportunity to see your display up close from any side. Trailer Parking: Trailer parking is located on the East side of the South parking lot. Please do not put trailers in the parking spots closest to the building. Power: Power drops for displays will go to the general area of your tables, but are shared with multiple displayers. You may need to bring your own extension cords and/or power strips. Please plan accordingly. Brickworld does have extension cords and outlet splitters that you can use. Please see Bryan, Brian, or the check in desk to use one. We simply ask that you return what you use to the front of the hall at the end of the show. Table Cloths: If you requested table cloths and they are not at your tables upon arrival, please stop by the check in desk to get some. The front edge of your table cloth should be 10 inches (32 studs) from the floor. If you rearrange any table cloths please maintain this consistency. Barriers: Posts/crossbars for the crowd barriers will be delivered to your tables. Any help putting these up around your displays is very much appreciated. A word of caution – while we make every attempt to keep the event space secure, the event hall is generally open for the entire day and well into the evening and early morning hours each night. Besides the attendees, hotel/convention staff and others may have access to the event space. It is unfortunate to mention, but we all need to be aware of the possibility of theft. Please do not leave valuables like purses, wallets, cameras, phones, notebook computers and the like out in the open and unattended. When you leave the hall, take them with you, or at the very least hide them. If you have pieces or minifigs on your displays that you cannot bear to lose, our suggestion is that you place them towards the center of your displays or towards the back of the tables, and take them with you when you leave, otherwise, you may find it better to simply leave them at home. If you spot anyone taking anything from another person’s display, please notify one of the coordinators immediately. We have a ZERO-TOLERANCE POLICY when it comes to stealing. You will forfeit the rest of your event privileges, and will not be allowed to attend future Brickworld events anywhere they may be held. Finally, we just want to say that as always we are excited to see all of you and the amazing things you’ve built! One of the best parts of the event is seeing old friends and making new ones. Make sure to step out from behind your display during the event to walk around and check out everyone else’s work, and spend some time talking with your fellow builders. Above all, have fun! Safe travels, and we’ll see you soon! That moment we have all been waiting for is finally here! The display map for Brickworld Chicago 2018 is complete. The layout team said they will finally get some sleep tonight after 2 weeks of effort to shoehorn in all of the wonderful displays that registrants are bringing. There were more displays than every before to squeeze into the room this year with display requests up by 15%. Brickworld will once again have more displays than any other show in North America. And, while we would argue we have the best displays, we realize that there are some very amazing displays at most AFOL driven events. We are simply excited to have this year’s layout complete and on the shelf so we can focus on other aspects of event preparation to make sure the registrants spending their precious vacation time at our convention in Chicago have memories to last a lifetime. You can see the display map and list of people displaying at the show here. We are excited to announce that the schedule for Brickworld Chicago has been released on our web site. As always, there is a tabular schedule and a visual schedule. We also added a new option for viewing the entire schedule this year with descriptions of all of the activities. This new web page tells you the day, time, location, leader, title, and description of each activity for the entire convention. This year the event will host 109 activities for convention goers over the 5 days of the show with most occurring on Thursday and Friday of the convention. Once again we look forward to kicking off the event with a mixer in the hotel lobby on Wednesday evening and closing out on Sunday afternoon with the Awards Ceremony. Thank you to everyone that is helping make all of this fun possible! You can see the schedule here. Look at the left side bar for other viewing and information options once you are there. 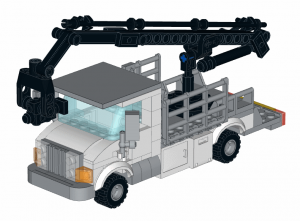 Brickworld is excited to reveal the 2018 GBC workshop kit. This year’s kit is a ball pump with a unique check valve system to hold the balls in the vertical stack. It is a simple, yet elegant design from Brian Alano with some input from other GBC experts to help ensure a wonderful kit and building experience for the workshop participants. The kit will be available as part of sign up for the workshop at Brickworld Chicago. We have completed 80 kits for the workshop again this year as last year’s 80 workshop slots were filled in about 6 hours. Workshop signup will be in May as usual. We will provide a reminder that it is coming about 2 days in advance. It will be a late afternoon start on Eastern Time to help ensure it is not in the middle of the night for almost all attendees around the world. We are excited to reveal the annual theme artwork for Brickworld 2018. The subtle reflection of the four seasons created by Mark Larson is a true masterpiece. Announcing the Where Is Kevin Hinkle? Challenge! That’s right. This year at Brickworld Chicago, we will hold a Where Is Kevin Hinkle? Challenge. Your job is to make a vignette that is no larger than 16×16 studs and no taller than 20 bricks. Kevin Hinkle himself will judge the vignettes and select the one that pleases him the most about where/how/when you depicted him. If you don’t know what a vignette is, it is capturing a moment in time. We do this all the time with our layouts. Now you just need to focus on one thing. Where is Kevin Hinkle? Maybe he is in a happy place. Maybe he is lost in space. Maybe he is floating in the ocean. What you build is up to you. Whether you win is up to Kevin. Use your own Kevin Hinkle minifigure in your vignette. But, if you don’t have one and want to enter we have some to loan to you for the challenge. The first 20 entries that show up in Chicago and ask Bryan to borrow a Kevin Hinkle figure can be covered. We suspect that a lot of you planning to enter this contest will already have one of Kevin’s old business cards. The winner will earn a Brickworld trophy and an opportunity to get their picture taken with Kevin. We are excited to announce the 2018 Keynote Speaker at Brickworld Chicago will be Dr. Roy T. Cook. If you have attended past Brickworld events, you have probably seen Roy (mostly in the evening as he is a night owl). Roy has helped make Brickworld an awesome event by being the Dirty Brickster and Dirty Buildster coordinator every year except the inaugural year of the event. He has attended every Brickworld Chicago convention and has done some kind of philosophical presentation at a lot of the shows. Roy is also a very accomplished builder both individually and as a member of VirtualLUG. And, you might have noticed Roy as the judge for the Cutthroat Builders Challenge the last couple of years. Roy’s keynote address will be focused on his new book LEGO and Philosophy: Constructing Reality Brick-by-Brick. We are just guessing here, but knowing Roy, the address will be pretty entertaining. So, don’t miss out on the fun. And, we would bet that reading the book before the event might really make the address exciting to see. 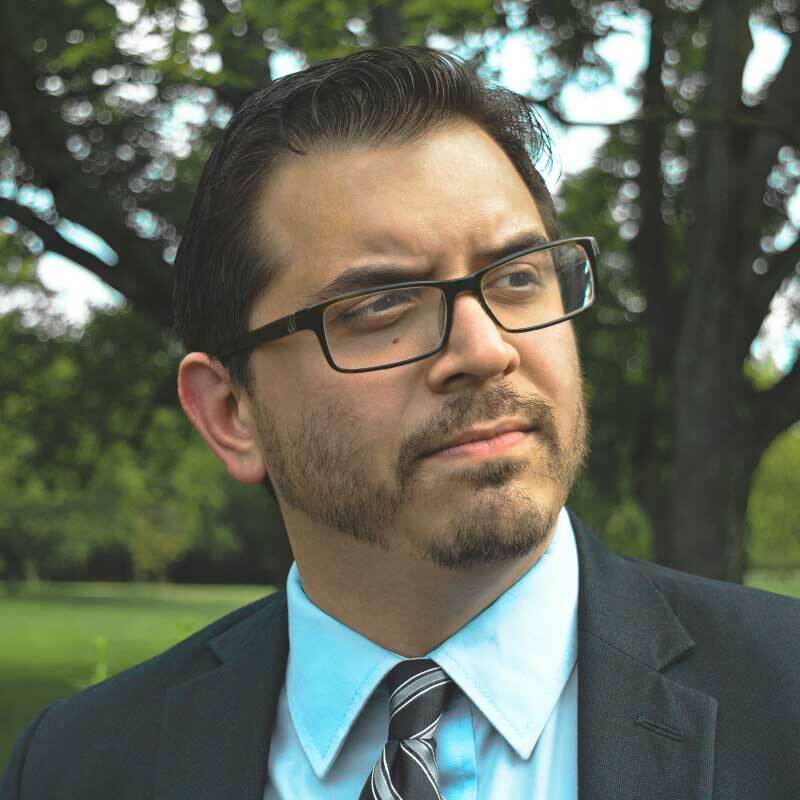 Roy T Cook is CLA Scholar of the College and John M. Dolan Professor of Philosophy at the University of Minnesota – Twin Cities. In addition to authoring three books and over a hundred academic articles and essays on mathematical logic and the philosophy of mathematics, he studies the philosophy of popular art, and is co-editor of The Art of Comics: A Philosophical Approach (Wiley-Blackwell, 2012, w/ A. Meskin), The Routledge Companion to Comics (Routledge, 2016, w/ A. Meskin and F. Bramlett), and LEGO and Philosophy: Constructing Reality Brick-by-Brick (Wiley-Blackwell, 2017, w/ Sondra Bacharach). If you are a veteran of Brickworld, you have probably found the convention pages with things like schedules, set drafts, collaborative displays, games, challenges, etc. If you are not a veteran, you might find a lot of cool things if you look a little deeper on the web site. To help get you started, we suggest you check out the list of people already registered for the event at https://brickworld.com/registrant-list/ …once you are there, you will see an entire menu of pages in the left sidebar to explore. Have fun! Registration for the Brickworld Chicago convention is now open. Log in to your Brickworld account to register. Once you register, you will be able to sign up for display space, MOC cards, and activity leader positions. Plus, you will start receiving informational emails. If you miss informational emails, you can always see the archive on the convention blog. The convention is our annual celebration of sharing our love of the brick with 1,000 of our closest friends for 5 days at the Renaissance Hotel and Convention Center in Schaumburg, IL. During the convention, the attendees help each other learn and have fun by providing workshops, presentations, games, set drafts, challenges, and many other fun things. In 2017, the final schedule had nearly 130 scheduled activities. Plus, there are many impromptu things that simply happen. Learn more here. As always, there are a limited number of rooms available at the Renaissance in the Brickworld block. So, don’t wait to reserve your hotel room too! To reserve your room, click here. The Renaissance is forecasting that they will be sold out of overnight rooms on Tuesday, June 12, and Wednesday, June 13. The group rate is valid thru May 23, 2018. We are excited to announce the 2018 event kit. It goes arm in arm with this year’s theme. Of course, we get together in the summer, so representing another season seemed appropriate. This year’s kit is a snowman. The designer of this year’s kit is Bryan Bonahoom. Bryan has previously contributed the green lantern event kit in 2013 and the GBC workshop kits in 2014 and 2016. This year’s kit consists of 225 pieces and will sell for $20+tax. There are 100 copies of the set produced. In order to purchase a set, you must be registered for and attend Brickworld Chicago. Brickworld is excited to be adding a new twist to event organization for 2018 and beyond. We are creating the Brickworld LUG Network! Does that sound familiar? 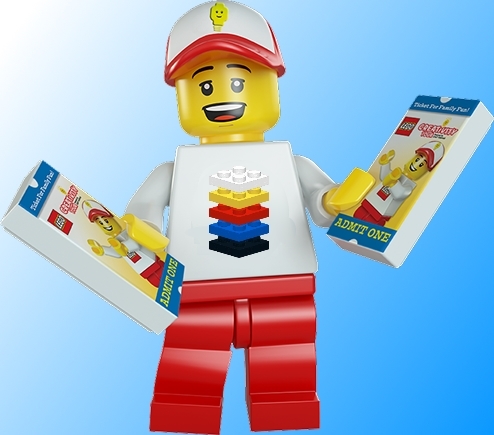 It is kind of a spin on the LEGO Ambassador Network concept. The idea is to have 1 member from each LUG that participates in Brickworld events to be the ambassador of that LUG in the forum. This ambassador will help communicate new ideas and activities from Brickworld to the LUG and from the LUG to Brickworld throughout the year. We think this will vastly improve communication with LUG members planning to attend Brickworld. Since in the past we have relied on emails that are generally sent to people that have registered, this will help us reach people that haven’t registered yet. It will also streamline communication with the LUGs when it comes to displays and the layout. The major benefit is that it will give us the ability to communicate with LUGs long before registration opens and it will help us all in planning the fun for the convention in Schaumburg. So, we are looking for a member from each LUG to represent the LUG in this forum as the ambassador. While we don’t care what member you choose, we recommend that it not be the LEGO ambassador as that person is already doing a lot for your LUG and sharing the effort is a great way to get more people involved. We will be starting LUG Network activity very soon. 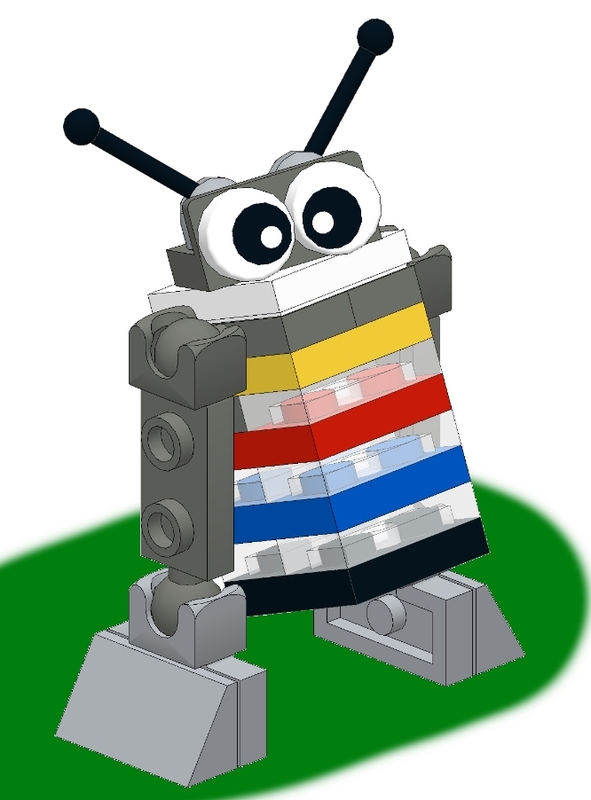 So, if your LUG wants to be involved (and we hope you all do), please send an email to Bryan if you have his address or use the contact us link on the Brickworld web site to let us know your name, your LUG, # of members in the LUG, and where the LUG is located. Bryan will add you to the private forum and we can get this started! We hope you share our excitement about this new addition to the event communication. Does Your LUG/LTC Display at Brickworld? We are trying to update our club list on the Brickworld web site. If your LUG displays at a Brickworld event and you are not on this list, please let us know if you would like to be added and provide the proper name of the club, a web page link, a Facebook page/group link, and a Flickr photo pool link if you have them so we can get all the information out there. If your club is already on the list and we don’t have all of your links, please send them to us. Thanks for your help! 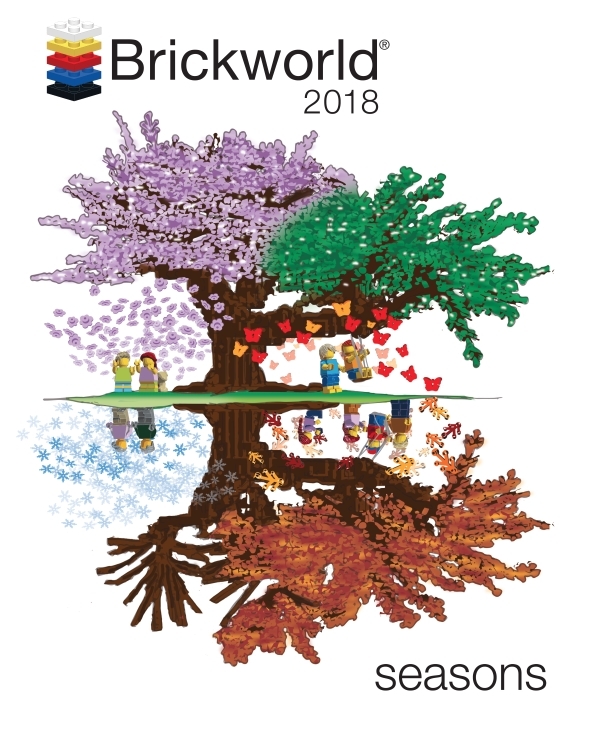 We are happy to announce “Seasons” as the theme for Brickworld Chicago 2018. We can’t wait to see what people do with this in their builds next year! Beyond the Brick has once again published a walk-through of the display hall at Brickworld Chicago. With 100,000 square feet in the hall, it was a long process. So, if you have 2 hours and 40 minutes, kick back and enjoy the video! If you weren’t at the show, you missed a lot of very cool builds that you can see in this video. Enjoy! The 2017 keynote address is available for viewing on our YouTube channel thanks to Bob Luzenski! Congratulations to all of the award winning MOCs at Brickworld 2017. You can see them all here if you missed them at the event. As always, we are amazed by the creativity and building skills of all of the builders at Brickworld events. We are happy to announce that all 80 of the GBC workshop slots have been filled. Normally there are only 30 slots. So, we were pushing it this year. Since all 80 are filled, that means if you still want to participate in the workshop, you will need to kit up your own parts and just show up. So, we are posting the parts list for you. If you aren’t coming to Brickworld, instructions will be made available via the great ball contraption web site at a later date. If you are in the workshop, you will get instructions. We hope that everyone is ready. This coming week will be busy, crazy fun for everyone! Official check-in times are shown below. These are the hours when the registration desk will definitely be open. Please plan to check in (and get your badges) during these times. A photo ID will be required to check in. Only one person in your group will need to show their ID, and they will need to be 18 or older. Minors (those under 18) will ONLY be allowed to check in with their registered parent/guardian. You will receive your badge and goody bag (Full Registrants) at the Registration Desk, located outside the Exploration Hall. If you have MOC Cards or a merchandise order, you will receive those also. You are required to wear your printed Brickworld badge during all Brickworld activities…including Thursday & Friday. An engraved brick badge is not an acceptable form of ID for entrance to Brickworld activities. With nearly 1,000 convention attendees, the security personnel at the door can’t be expected to recognize all of your faces. The event schedule will be posted near the check in area, and it will be in your program. You can also see in on-line here and in visual form here. Hotel check-in is 4 PM if you are staying at the Renaissance. Wi-Fi is free in the hotel lobby. More hotel information is available here. Donation items for the fundraiser may be dropped off at the registration desk. Please print and complete the auction form. We appreciate all of your support for the charity fundraiser. Goody bags will be assembled in the foyer in front of Discovery/Exploration Hall Wednesday starting at 10 AM. We will also be putting table cloths on tables at the same time. Feel free to stop in and help or just say hello. The more, the merrier!! Thank you to everyone that has signed up to volunteer at the event online (there are still a few slots available here). We really appreciate your help! It is important that you show up for your volunteer spots and we trust that you will. So, you will receive your volunteer gifts when you check in for the show (kind of an honor system). This is simply a lot easier to do logistically. Awards judging begins at noon on Friday. So, if you want to make sure your creation is seen by the judges, be ready by noon Friday. If you are later, it might get missed. The judges do their best to look at everything. If you missed the Logistics post last week, you can find it here. Anyone vending or displaying should definitely read the post. And, it wouldn’t hurt to read it even if you aren’t doing either of these things. It is difficult to add this part: In today’s world, there is always the potential for bad things to happen in good places. We are all carrying in a lot of boxes, backpacks, etc. If you see someone that looks out of place, seek out Brickworld staff or hotel staff and inform them. And, remember our policy on theft. If you are caught pilfering at a vendor booth or anywhere else, you will be removed from the event immediately, banned from future Brickworld events, and possibly have the authorities contacted. Theft is not a huge issue. But it is a larger problem during non-public hours than during public hours. Please help watch over displays for any odd behavior. We are looking forward to a wonderful event! We will see you next week! Main load-in for displays will be on Wednesday afternoon, June 14th from 1 PM – 5 PM and Thursday morning, June 15th from 8 AM through 12 PM (noon) CDT. Small Displays: Individuals with smaller displays will be allowed to hand-carry their displays in through the front doors of the halls anytime after 1 PM Wednesday afternoon. You do not need to be in before 5 PM unless your display will not fit through a standard 36 inch doorway. Display Requirement: All displays are required to be set up by 10 AM Saturday morning, prior to beginning of public day hours, and must remain up until 3 PM Sunday afternoon at the close of public hours. Table Cloths: If you requested table cloths and they are not at your tables upon arrival, please stop by the registration desk to get some. The front edge of your table cloth should be 10 inches (32 studs) from the floor. If you rearrange any table cloths please maintain this consistency. Another new, fun activity is making its debut at Brickworld this year. It is called the Draft & Build Challenge. 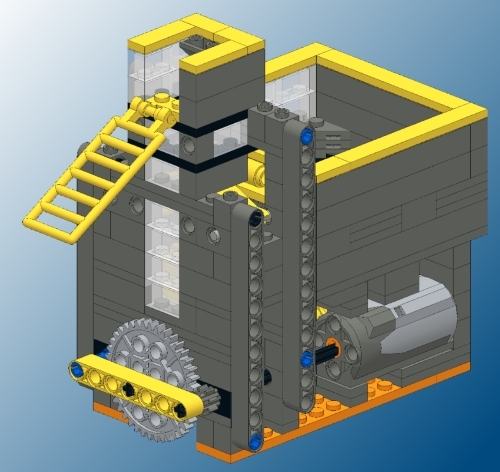 And, it is exactly that, you will draft parts and then have the remainder of the time to build a MOC in one of 3 scales that you will declare during the competition. A winner will be awarded at each scale. There are only 20 slots available. And, since you will be walking away with $40 of parts, the cost is $40 to enter. Signup will open along with all of the other workshops, challenges and games that require sign up on May 20th. Meanwhile, you can see the complete Draft & Build rule set here. Brickworld is taking a new approach to tshirts this year and we don’t want anyone to be caught off-guard. The 2017 tshirt featuring the annual artwork is available as a pre-order item only this year. There will be other Brickworld tshirts available at the show. But, the artwork tshirt has always been a special print job to get it to look right. So, we wanted to make it something that only the registrants could get. 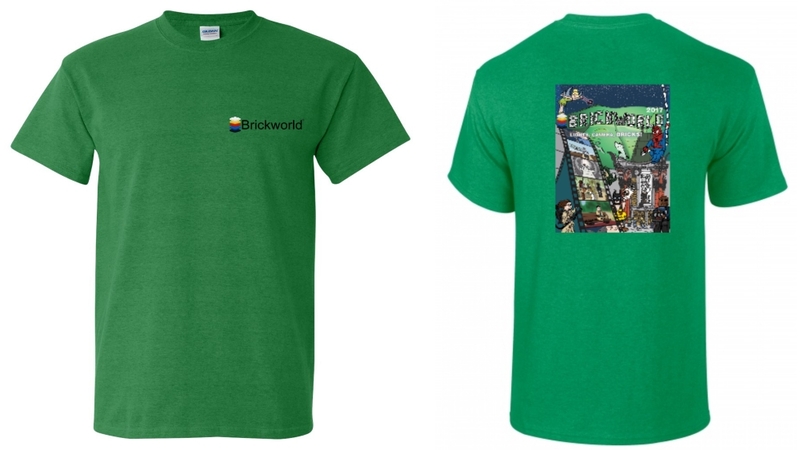 The other Brickworld tshirts will be awesome too and you might want one of those. They will only be available at the show though, not through preorder. The 2017 tshirt with artwork is shown here. So, don’t miss out if you want one. Preorder it before May 16th. May is the month of many deadlines in preparation for Brickworld Chicago!! May 15 – last day to preorder merchandise. NOTE: Tshirts printed with this year’s artwork can only be purchased via preorder. Don’t miss out by missing deadlines! We appreciate your help on this as “I forgot” requests after deadlines cause a lot of extra work. You can see all the dates and deadlines here. Are you ready to start planning your time at Brickworld this year? The set draft schedule has been subtly released. And, while it is still subject to change if there are conflicts that need to be resolved, it should be pretty solid. You can’t see the schedule on the schedule page yet though. But, it will be there soon. You can see the schedule for each draft at the bottom of your My Page when you log into your Brickworld account and are registered for the event. Why on your My Page? Well, we have been working on adding a new feature to the web site and it is ready to go. We see big things for this feature in the future. Meanwhile, we are starting small with a bunch of free stuff!! Signing up for set drafts is free. You need to bring your own new, unopened set to the draft to join in the fun. And, you will need a ticket…a FREE ticket…to that draft. And, you can get these free tickets on your My Page just below the pre-order items. Doing a ticketing process for the set drafts will also help us know if there is a draft that is not of interest or a draft where there are so many people that we need to give it some extra attention. So, this will help in our planning. If you plan to bring 2 sets to a draft for yourself, please sign up for 2 tickets. If you are a mom signing up your kids, get each one that will have a set their own ticket. There are 24 different drafts to choose from. So, choose wisely!! Things are shaping up for the show. We are getting into crunch time. With many deadlines approaching (like display space and MOC cards), we are sure you are all building your creations and your excitement with us! We look forward to seeing everyone in June. 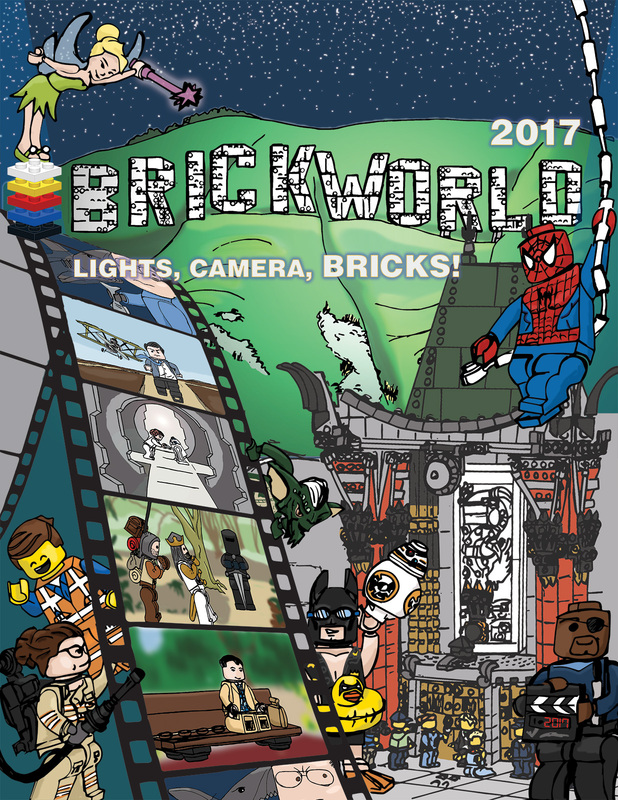 We’re very excited to announce the sixth annual Brickworld Film Festival! 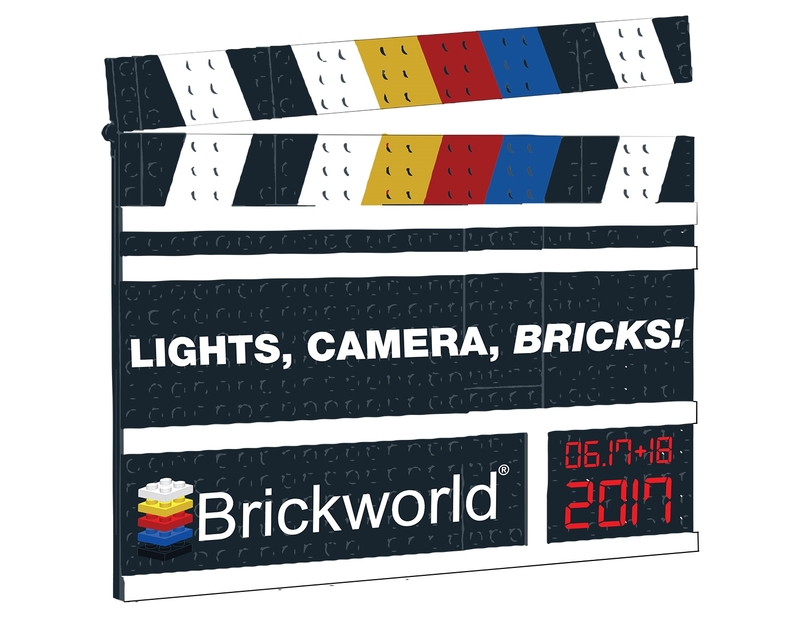 The event theme for Brickworld Chicago 2017 is “Lights, Camera, Bricks!”, so we’re opening up the film festival to filmmakers from all over the world for the first time ever. We want this to be the best brickfilm festival ever, so we have very few eligibility requirements (see the official rules below). Your film doesn’t have to be recently made or contain any specific theme. We want your best work of all time. All eligible films will screen continuously in the Brickfilm Theater for the duration of Brickworld Chicago. The attendees of Brickworld Chicago will vote on the films to decide the winners. We’ve also pulled together a pretty awesome prize pack for the winner. And while attending Brickworld Chicago isn’t required to enter the contest, we highly recommend it. In addition to the film festival, we will be running a LEGO animation workshop, screening a special film, showcasing models from our latest animations and just generally hanging out and talking about LEGO. Anyone can enter a film in the festival, but you must be a Full Registrant of Brickworld Chicago to be eligible for the “Best Film” Trophy. By entering your film for consideration, you attest that you hold all rights to exhibit the given work. This includes (but is not limited to) visuals, music, and characters. Unlicensed use of copyrighted material is not allowed. Limit one (1) entry per director. Films should be enjoyable by all ages. Film content such as (but not limited to) curse words/swearing, excessive violence, sexual content, and drug use will be grounds for disqualification. Best of Brickworld Chicago – a Brickworld “Best Film” trophy will be awarded to the film submitted by a Brickworld Chicago Full Registrant that receives the most votes from the audience at Brickworld Chicago. Best of Brickworld International – a Prize Pack (approximate retail value $250 USD) will be awarded to the film that receives the most votes from the audience at Brickworld Chicago. By submitting your film, the Brickworld Film Festival is granted the right to use and/or publish clips or the full videos, screenshots, director and crew names, and any other material related to an entry in the event program, the Brickworld Film Festival screening, the Brickworld website, re-screenings at future Brickworld events, and for any and all promotional purposes. If you have any questions, please e-mail bwfilmfest@setbump.com. We look forward to seeing your films! 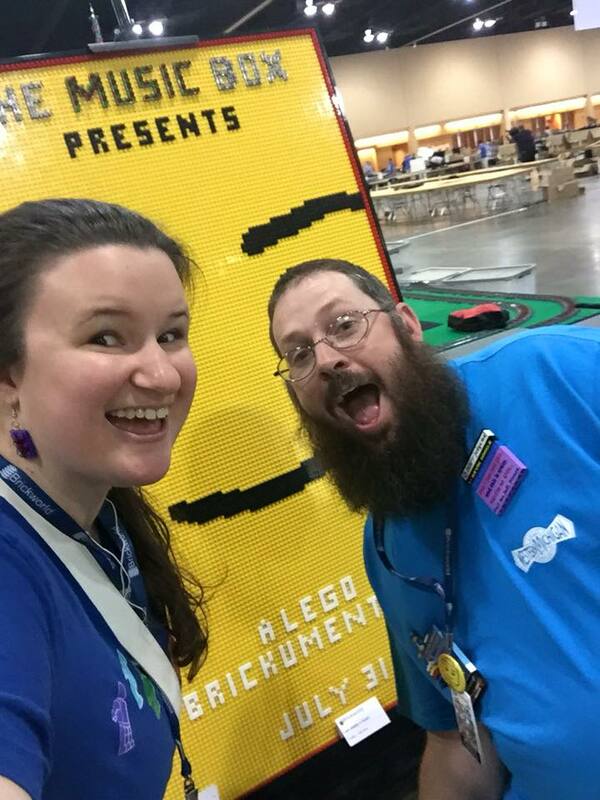 One of our long time attendees and best friend of Brickworld and all attendees, Jeff, has offered to shave a beard that we have never seen shaved to help raise money for the annual Esther Walner Memorial Charity Fundraiser. Let’s all help reach the goal of a clean face for Jeff. You can donate via the Brickworld web site. 100% of the proceeds go to the fundraiser. You can read more about the fundraiser here. Or, you can click to go directly to the Beard Shave Challenge to learn more and donate. Thank you in advance for your support of the fundraiser!!! Brickworld Chicago Hotel is Almost Full. Book Now! The hotel for Brickworld Chicago is filling up fast! Book your hotel room now! 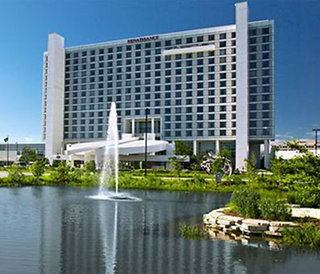 Brickworld has set up a room block at the Renaissance Schaumburg Convention Center Hotel at a room rate of $144/night. To make your hotel reservations, click here. You may also call the Group Reservations phone numbers to make your reservation. IMPORTANT: The hotel itself (not just our room block) will most likely be sold out Saturday, June 17, 2017. They may also sell out on Tuesday, June 13, and Wednesday, June 14. We suggest you make your reservations sooner rather than later. If you have issues getting the room type and/or nights you want, please feel free to let us know. We may be able to help. Send us an email using the Contact Us form on the website. Are you registered for Brickworld Chicago? Do you want to lead an activity but don’t want to get in too deep? Do you participate in set drafts? Well, then a set draft leadership role is probably for you. We have published a preliminary list of sets that will be drafted during the Chicago convention. You can find that list here. There are quite a few drafts just like last year. Some are small. Some are bigger. If you are interested in leading a set draft or two, please sign up for a leadership role from your My Page. Let’s see how many of the leader positions we can fill up fast so we can start to see the schedule for the event come together. And, don’t forget, since you are leading the draft, you may as well participate in it too! We still have room for presentations and round table discussions. If you have a topic, it is virtually guaranteed you will have an audience!! June will be here before we know it. Planning is now in high gear! We are pleased to announce our 2017 Keynote Speaker will be Ms. Olivia Donahue. Olivia is a 21 year old college student studying Visual Arts. Olivia has been a LEGO fan and builder since she was a young child. And, she and her family have been attending Brickworld since the beginning in 2007 when she was 11 years old. In 2009, as a 13 year old, she made a presentation at Brickworld discussing the differences in the way girls and boys play with LEGO. The LEGO personnel attending the show were so impressed with her insights that they set up a private meeting between Olivia, owner Kjeld Kirk Kristiansen, and then CEO Jørgen Vig Knudstorp. 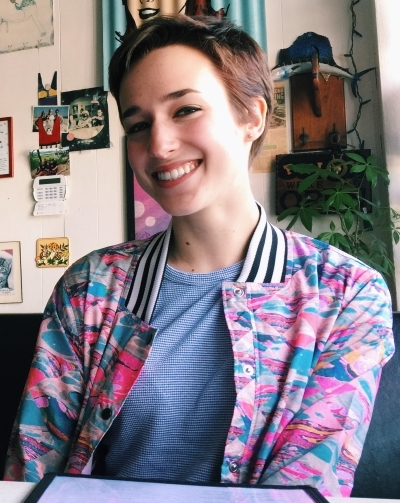 Olivia has continued to develop her insights into play and her own personal experience of turning from a Kid Fan of LEGO (KFOL), to a Teen Fan of LEGO (TFOL), to an Adult Fan of LEGO (AFOL) during the incredible community upsurge in the last 10 years. She will be sharing some of the things she has learned along the way and how the hobby can impact your life in ways you might not have imagined. We hope you join us in our excitement in this year’s Keynote Speaker! We are excited to be unveiling the 2017 Chicago program cover artwork. This year’s theme is embodied throughout the art. We hope you enjoy the artwork! Thanks to Mark Larson for his talent and efforts in developing the art. A job well done. While the concept of inclusivity is not new to our shows, we are excited to be formalizing the push for inclusivity focus in our Brickworld displays! To that end, we launched a new page on our web site today to help encourage fans displaying at our shows to think about characteristics of their displays in a new way to help engage more people. You can find the page under the About menu or just click here. Leader sign up is now open on the Brickworld web site. If you are registered to attend the Chicago convention, you can go to your My Page and select My Leader Roles to enter any activities you would like to lead. For those that are new to the convention, the content of the convention is driven by the attendees. We rely on you to make Brickworld the wonderful event that it is. So, if you have a topic to discuss, a community interest story, a process for building, a game, an activity, a workshop….whatever…we encourage you to sign up to lead a session and add to the fun of the event. We apologize for the delay in opening leader sign up. Honestly, we thought it opened January 1st with everything else. But, we missed 1 click of the mouse to make it happen. If you have questions about your activity and whether it would be good for the show, enter it. We have never rejected an activity. If we have concerns, we will let you know. Chances are, if you are excited about it, we will find a way to make it work!! Brickworld Chicago Hotel is Filling Up Fast. Book Now. IMPORTANT: The hotel itself (not just our room block) will most likely be sold out Saturday, June 17, 2017. They may also sell out on Tuesday, June 13, and Wednesday, June 14. We suggest you make your reservations sooner rather than later. If you have issues making your hotel reservations, please feel free to let us know. We may be able to help. Send us an email using the Contact Us form on the website. Brickworld has posted a lot of stuff to Facebook over the years. But, the @brickworld account on Twitter has been eerily silent as we keep trying to master social media. Today, we added Twitter to our list of active social media spots and you will see the Brickworld web site news feed posts show up as tweets from @brickworld. We hope to continue expanding our social media presence to help get the word out about all the cool stuff people bring to Brickworld. So, if you are displaying at one of our shows, don’t be shy. Reply with pictures of the cool stuff you will be displaying at the show! We have identified an issue with the Brickworld web site that is causing slow operation. A fix has been identified and is being tested. We are sorry for any delays you are experiencing and hope to have this resolved very soon (like tomorrow). There will be no follow up post when this is fixed. Thank you for your patience. 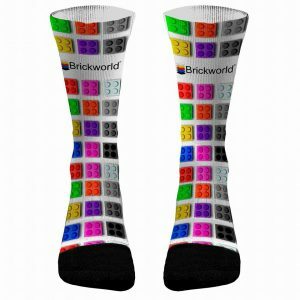 Brickworld Socks? Sure, why not! 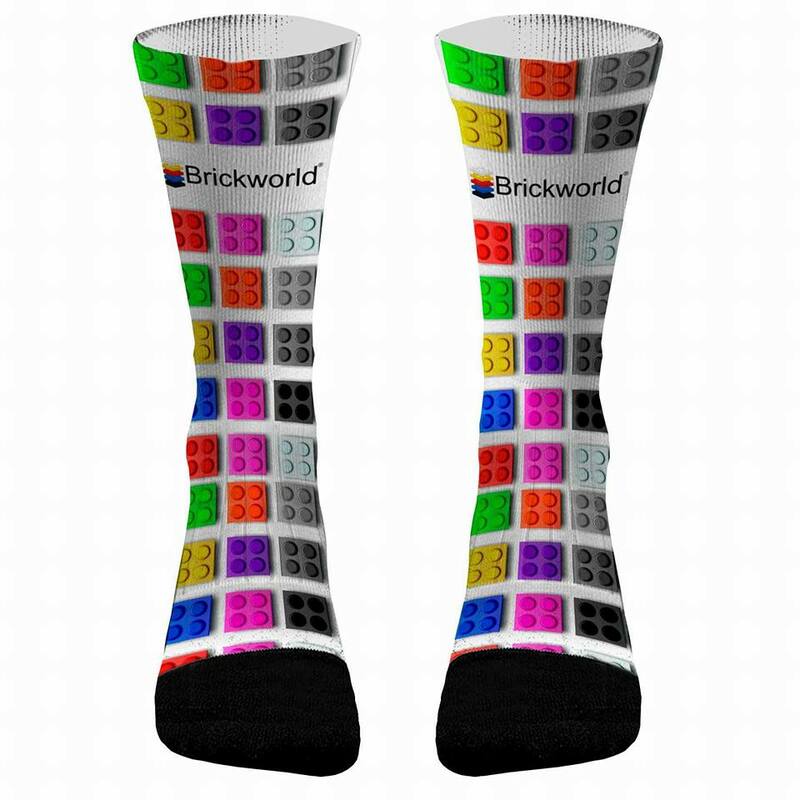 One of the preorder items for registrants at Brickworld Chicago will be the option to purchase Brickworld socks. 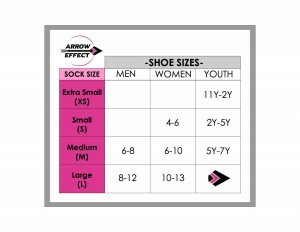 The socks are made to help keep moisture off your feet. They are awesome! The socks come in multiple sizes to fit everyone’s foot. Bryan wore a pair of Brickworld socks with his sneakers at Brickworld Tampa and was amazed at how these kept his feet dry and comfortable all day. And, they just looked cool! There will be a limited supply available at Brickworld Indy to purchase as an experiment. We hope you enjoy this new item as a choice in the preorders for Chicago! We are happy to announce the 2017 event kit for Brickworld Chicago. This year’s kit was designed by Yitzy Kasowitz and based partly on a truck design by Dan Siskind. The kit is a camera truck in keeping with the theme of this year’s show – Lights, Camera, Bricks! We are also very happy to announce that the preorder polo shirts for 2017 will be red. The shirt material and design is the same as previous years. Only the color is changing. Finally, the brick badges will be reddish brown in keeping with the event color for 2017. The 1×8 event bricks will also be reddish brown. Thank you to everyone that participated in the event kit contest this year. There were some great choices that made it very hard for the coordinators to pick the winner. Congratulations Yitzy and Dan! Preorder items will open WITH registration on January 1st. There are a limited number of event kits (100) that will be made. But you can order all the shirts and badges you want. Note: The artwork for the tshirt is not complete yet. So, the tshirt color has not been finalized. We are opening them to order but the look shown on the site will be of an old design for the time being. Our web guys have been busy cleaning up the site and getting ready to open registration. We ran final tests today and we have set registration to open on January 1st. The goal is just after midnight Eastern time. But, you know how things go on New Year’s Eve. When registration opens this year, we will also be opening up display space registration and MOC registration at the same time. You still have until May to get these done. But, the sooner, the better. And, we did activate the hotel room registration link on your My Page today. So, you can go ahead and book your hotel rooms now if you want. Remember, the hotel does fill up. There are no major changes to the registration process and pricing is the same as 2016. Just log into your Brickworld account and you will be able to click on Add Registration from your My Page. Make sure you get your password right. If you fail 3 times, the system will lock you out for an hour even if you click on reset password. This is a security thing as the site is constantly under attack from far away places. There are already several things in place for the 2017 convention that we are itching to tell you about. But, we want to wait until the first of the year before we get crazy and start laying out information. But, we can say the Keynote Speaker is locked in, the event kit design is complete, and the GBC workshop kit design is complete. As always, there is a lot going on that we don’t bother you with. But, we are always here if you have questions. Don’t hesitate to ask! 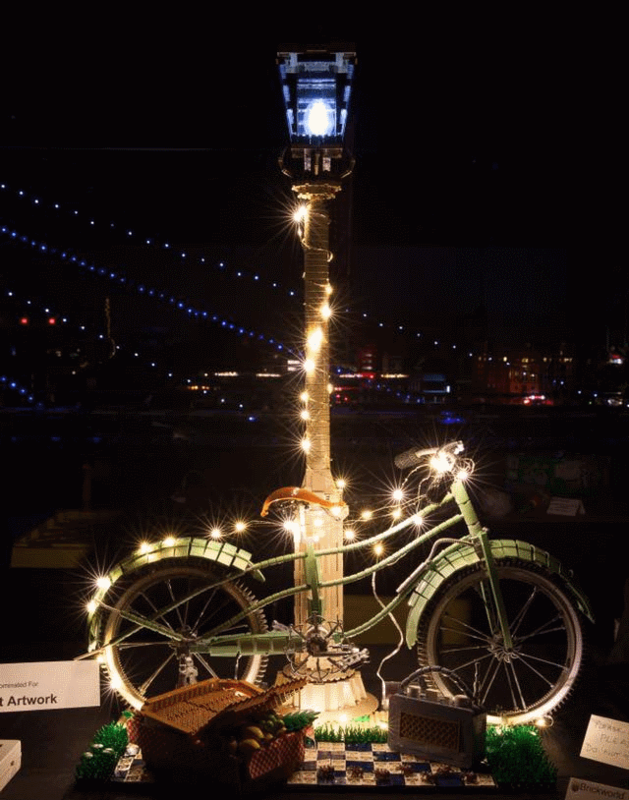 We hope that this theme provides some very broad reaching opportunities to create inspiring displays unique to the event. It is never too early to start planning and building for the next Brickworld event. The announcement of the theme also means the event kit contest is on! The time frame to develop a kit is short. We would like all submissions by the end of July. If you have questions, please submit them via the contact us form. You have one (1) last chance to request MOC Cards. All requests should be submitted no later than 12 Noon on Thursday, June 16, 2016. Our plan is to have them available for pickup after 10 am on Friday. But, please don’t wait til Thursday to submit them. We need time to get them printed for you. Requests can be sent via email to moccards@brickworld.com or turned in at the registration desk on Wednesday and Thurdsay. Any requests submitted after 12 Noon on Thursday will be printed as time permits. For more information about MOC Cards, please see the blog post titled ‘Do You Want Your MOCs to be Eligible for Awards?’. We can’t wait to see all your wonderful creations! LEGOLAND has graciously provided a discount and giveaway for Brickworld attendees!! Check it out in these two flyers. Make sure to stop in and see the 4D movie while you are there. Then you will understand the brick badge Bryan is wearing at the event this year! You are required to wear your printed Brickworld badge during all Brickworld activities…including Thursday & Friday. An engraved brick badge is not an acceptable form of ID for entrance to Brickworld activities. The event schedule will be posted near the check in area, and it will be in your program. You can also see in on-line here. Donation items for the fundraiser may be dropped off at the registration desk. Please complete the auction form. We appreciate all of your support for the charity fundraiser. Goody bags will be assembled in the foyer in front of Discovery/Exploration Hall Wednesday starting at 10 AM. Feel free to stop in and help or just say hello. The more, the merrier!! If you would like to volunteer during the event, you can either send us an email via the contact us form or we will have a sign-up sheet available when you check in to the event. We really appreciate your help! Main load-in for displays will be on Wednesday afternoon, June 15th from 1 PM – 5 PM and Thursday morning, June 16th from 8 AM through 12 PM (noon) CDT. Large Displays: If you are part of a LUG or LTC, or if you have a large display requiring a flatbed cart or hand truck, you will need to make sure you are at the convention hall to unload during the times above, as these are the only hours that the large 20ft wide/tall “elephant” doors will be accessible (since a dock warden must be present). If you are unable to be at the hall and unloaded during the times listed above, please contact us immediately so that we can make other arrangements. Weather permitting, you will be able to drive your vehicles into the display hall to drop off tables/displays. Access will be permitted on a first come, first served basis and requires explicit approval from Bryan, Kevin or Alison. The ramp to drive-in to the hall is at the northeast corner of the convention hall. Please line up in an orderly fashion, taking care not to block the roadway or parking areas. It will be up to our discretion whether or not your vehicle will be able to drive in, based on how many other vehicles are already in the hall, the size of the vehicle you have, what you need to unload, and whether or not you’ve been off-roading recently. So, ask BEFORE you wait in line. Small Displays: Individuals with smaller displays will be allowed to hand-carry their displays in through the front doors of the halls anytime after 1 PM Wednesday afternoon. You do not need to be in before 5 PM unless your display will not fit through a standard 30 inch doorway. Vendors: You may load in through the front doors of the halls anytime after 1 PM Wednesday afternoon. You do not need to be in before 5 PM unless your display will not fit through a standard 30 inch doorway. If you feel you need to drive in to unload, you need to follow the rules of Large Displays above. This includes getting approval from Bryan, Kevin, or Alison. Individual & Group display spaces will be marked off on a poster which will be on display at the front of the hall. Once you have arrived, please consult the map before bringing in your displays. This will help you determine where to go without the struggle of a handful of displays. If you or your club have opted to bring your own tables, there will be tape marking off the corners of your area on the floor. If you do not see your name/club listed on the poster, please contact Kevin or Alison for assistance. Alison and Kevin will be available on Wednesday 1 PM and 5 PM and Thursday 9 AM – 5 PM to answer questions and direct folks to their locations. For any questions prior to Wednesday, you can also reach out to us by email at brickworldlayout at gmail.com. All displays are required to be set up by 10 AM Saturday morning, prior to beginning of public day hours, and must remain up until 3 PM Sunday afternoon at the close of public hours. You may not have all sides viewable that you requested. There are simply too many displays and special requests each year to accomodate them all. At least one major side of each display is directly viewable from an aisle. Please be flexible and remember that attendees will have plenty of opportunity to see your display up close from any side. Trailer parking is located on the West side of the South parking lot. Please do not put trailers in the parking spots closest to the building. Power drops for displays will go to the general area of your tables, but are shared with multiple displayers. You may need to bring your own extension cords and/or power strips. Please plan accordingly. If you requested table cloths and they are not at your tables upon arrival, please stop by the registration desk to get some. Posts/crossbars for the crowd barriers will not be delivered to your tables until Friday afternoon/evening. Any help putting these up around your displays is very much appreciated. A word of caution – while we make every attempt to keep the event space secure, the event hall is generally open for the entire day and well into the evening and early morning hours each night. Besides the attendees, hotel/convention staff and others may have access to the event space. It is unfortunate to mention, but we all need to be aware of the possibility of theft. Please do not leave valuables like purses, wallets, cameras, phones, notebook computers and the like out in the open and unattended. When you leave the hall, take them with you, or at the very least hide them. If you have pieces or minifigs on your displays that you cannot bear to lose, our suggestion is that you place them towards the center of your displays or towards the back of the tables, and take them with you when you leave, otherwise, you may find it better to simply leave them at home. If you spot anyone taking anything from another person’s display, please notify one of the coordinators immediately. We have a ZERO-TOLERANCE POLICY when it comes to stealing. You will forfeit the rest of your event priviledges, and will not be allowed to attend future Brickworld events anywhere they may be held. Finally, we just want to say that we are excited to see all of you and the amazing things you’ve built! One of the best parts of the event is seeing old friends and making new ones. Make sure to step out from behind your display during the event to walk around and check out everyone else’s work, and spend some time talking with your fellow builders. Above all, have fun! Safe travels, and we’ll see you next week! Dear AFOL’s, as you begin to pack up for Chica…Schaumburg, don’t forget to tuck in something special to donate to the Esther Walner Memorial Charity Fundraiser! …and that includes a handful of misc brick to toss into this year’s mystery bag!!! The fundraiser will consist of a silent auction and a live auction this year. Thank you all for your donations and generous bidding! As always 100% of the money raised goes to charity. We are excited to announce that we will have 3 live TV segments on the “You and Me” show from the event. We will be on METV in Chicago for some pretty long segments at 6:20 AM, 7:20 AM, and 8:20 AM on Friday, June 17th. If you are a Brickworld displayer, there will be some great opportunities for your display to be on TV. If your display is manned, the chances of getting it on TV go up. So, don’t sleep in on Friday! For the public, here is a chance to get a preview of just how cool this stuff can be and even hear some tips on things to look for and how to view displays when you visit the show over the weekend! Having Our Cake and Eating It Too! We are excited to make a last minute addition to the event schedule. Everything has gone to print. So, you are just going to have to remember to show up! We will be having cake to celebrate the 10th birthday of Brickworld on Thursday evening at 7 PM (before opening ceremonies) in the concession area of the event hall. So, please come join us in a rousing round of song and a piece of cake. Then we can all go to opening ceremonies on a sugar high. Only 1 more week until this whole party gets rolling! Do You Want Your MOCs to be Eligible for Awards? If you would like your MOCs to be eligible for awards, then you need to request a MOC Card. Below is some information about MOC Cards and how to request them. What is a MOC Card? A MOC Card is a small tent card that gives the name of your creation and the creator(s) name. How Do I Request a MOC Card? Login to your Brickworld Account, which takes you to your My Page. Is There a Deadline to Request MOC Cards? Yes, the deadline to request MOC cards is Monday, May 23, 2016. When Will I Receive My MOC Cards? Your MOC Cards will be available for pickup when you check into the event on Wednesday, Thursday, and/or Friday. When Do My MOCs Need to be Set Up to be Eligible for Awards? If you want your MOCs to be eligible for awards, they need to be set up by noon on Friday, as judges will start their judging process at noon on Friday. MOC Cards should be sitting with your MOCs so judges can identify the MOC and creator. If you have any other questions, please send us an email via the contact us form. Brickworld is almost here! We are working on the last minutes details. If you are interested in volunteering, please send us an email via the contact us link below, and we will send you more information. We would really appreciate your help! We’ll see you soon! Have you been paying attention to the details of the convention? We bet you haven’t paid close enough attention. In the last day, a bunch of additional activities have been added to the details of the event this year. You can find them all by looking at the Convention tab and then under Details in the left side menu. Look under Presentations, Workshops, Challenges, Games, Collaborative Displays, and Set Drafts. There are new additions everywhere! The amount of fun you are all bringing with you to Chicago is very humbling. We are bursting with excitement here at Brickworld’s Galactic Headquarters (yes, that is a real place). And, to top it all off, we have released the details of the event schedule!! So, you can start sorting out your agenda. Of course, the schedule is always subject to some changes to help ensure the fun is maximized. That is why we keep a “last updated” date at the top of the page. In order to assure the best use of space and time, we are asking for a little help from you. There are a lot of set drafts in the schedule. We want to make sure that they won’t be empty. If you are new to the event, you should try a set draft or two. They are a fun and easy way to meet people. Everything is awesome…and with your help, it will stay that way!! Thanks. In keeping with the theme of this year’s event, the Mindstorms coordinators have come up with the competition Bridging the Gap. Bridging the Gap requires 2 robots to Unite with each other to accomplish a task. You can read the rules for Bridging the Gap here. You can see all of the challenges for this year’s event here. Don’t miss the Mindstorms fun at the show either as a participant or a spectator. Robots – they are taking over the world!! The sets that will be officially drafted at Brickworld 2016 have been revealed! You can see the entire list here. 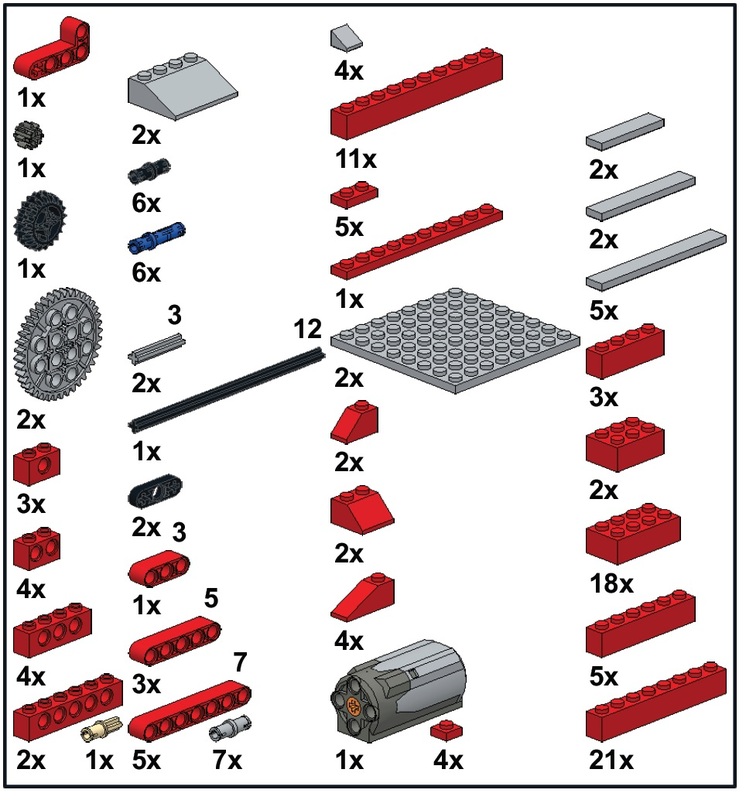 Brickworld attendees are encouraged to participate in set drafts as a way to get to know new people. It is a non-themed activity that is also a great social setting. There is a range of set values so you can choose the draft(s) that best suit you. 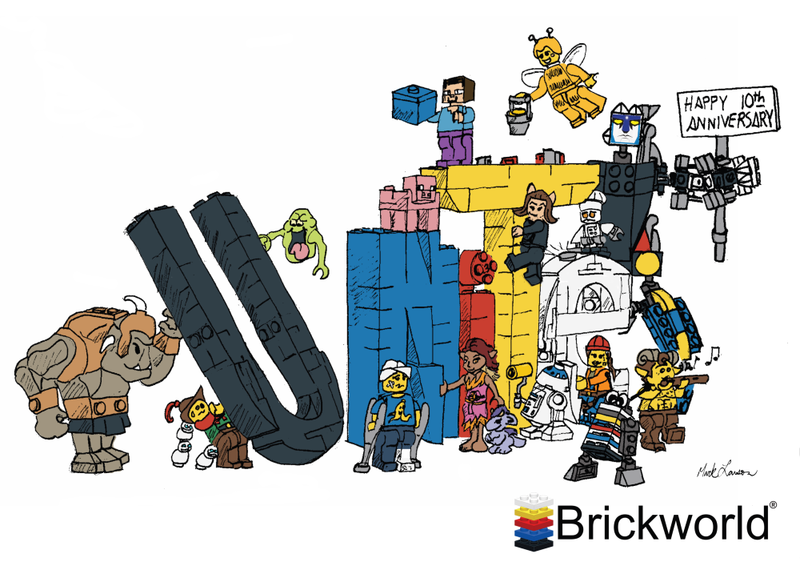 Brickworld is excited to release the first look at the 2016 event artwork celebrating both our theme (Unite) and the 10th anniversary of the event. Thanks to Mark Larson for his efforts in creating a memorable scene for the show! 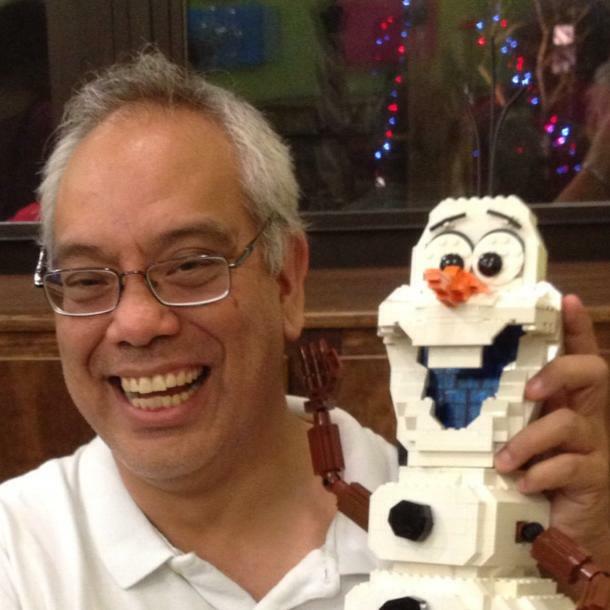 We are excited to have one of the great pillars of the AFOL Community, Mr. Joe Meno, as our Keynote Speaker for Brickworld Chicago 2016. Joe is the founder and editor in-chief of BrickJournal magazine. Joe has been a presence in the community forever. You can find him at many AFOL conventions running around snapping pictures of the MOCs. Joe has his hands in many things. And, while we aren’t announcing the topic of his speech, we can tell you that it is not about BrickJournal. Joe has thought long and hard about a topic to excite us all. Don’t miss out! The Keynote speech happens during opening ceremonies on Thursday, June 16th at Brickworld Chicago. Please join us in Chicago and don’t miss what is certain to be an unforgettable hour of Joe! We are excited to announce that we will be having the decorator set up tables for the event this year!! We have always appreciated everyone’s willingness to help with table setup to help make the convention an affordable endeavor. A job that you all willingly have pitched in on since the beginning of Brickworld. This makes the logistics of setup much easier. The decorator will set up tables in the morning on Wednesday. And, we invade the hall after lunch to start having fun! We are pleased to make the announcement of an important change to the convention schedule this year. We have secured the event hall on Wednesday and load in/setup can begin at 1 PM Wednesday afternoon instead of the usual Thursday morning start of display setup. We added this setup time with no other activities to help those people with larger more time consuming setup activities to get started and be able to attend more of the other activities that are part of the Brickworld fun! Anyone is welcome to take advantage of this time to begin setup of your display. We realize this is almost a late decision. But, we hope that it is still early enough in your personal planning to take advantage of the extra setup time. As always, Brickworld depends on the attendees to turn the available space into the awesome fan convention that it is. We have added a link on your My Page – “My Leader Roles” – as part of the new website for you to offer your assistance in making this happen. You can use this link to offer to lead workshops, presentations, round table discussions, part drafts, games, competitions, or any other activity during the convention this year. Make sure to include any scheduling limitations you have in the comments. We will sort through everything and create the detailed event schedule once we are closer to the show. But, the sooner we have a good idea of what people want to do, the easier it is to seek to fill gaps in the fun if necessary. So, please don’t hesitate, sign up to help make this year’s show the best ever! And, please accept our thanks in advance for your commitment! Do your LUG members to be placed in the layout next to each other? If they do, please work together as a LUG to develop a U-shaped layout of space (preferably 2 tables deep on each side). Then have one person make a single display space request. This makes the job of the layout coordinators much simpler because they aren’t trying to move and group large numbers of people. If you were involved last year, this is a repeat of what we did in 2015. A lot of LUGs were involved in the experiment last year. It seemed to work out well. But, don’t worry, if you all want to put in your own display space requests, that is fine. We just don’t guarantee that you will be located near the people you request. The forms for display space requests and MOC card/award registration signup are now both available for you to access from your My Page. Simply login to your Brickworld account. If you are registered for the Chicago convention, you will be redirected to your My Page. Note: Only Full attendees are allowed to sign up for display space and MOCs. While the web site might let you enter information if you are not a full attendee, it is manually reviewed by Kathie. So, please keep her job easy and don’t sign up for space or MOCs if you are not a full attendee. As in previous years, the MOC/award registration is done through the web site. The entries you make remain editable/deleteable until the closure date in early May. New this year is having the display space request done through the web site. This will allow you to view your submitted request, edit it, or delete it up until the closure date in early May. Please remember that most people will have a single space request for MOCs or an individual layout. You do not enter a space request for each of your creations. Even though most people will have only a single entry, if needed, you can have more than one space request. For example: You are leading a fantasy collaboration with your friends, you enter that space request. And, you also have some individual MOCs to display. So, you enter that as a separate space request. That’s it for now. Play well! LEGO® has announced a competition for 2016. Brickworld will hold our version of the competition at the Chicago convention in June. To enter, you must be registered as a Full Registrant for the convention. The following is from an email providing details of the competition. The winner at Brickworld will be chosen by a panel of judges. As a semifinalist, the winner from Brickworld will receive a prize package from LEGO of a collection of 2016 Friends sets. The overall competition will be run via the Rebrick web site. And, the winner at Brickworld will be automatically advanced to the semifinal evaluation. The Registrant List page is now active. Everyone 18 and older that has already registered is showing by default. If you would like to hide your name from the list, login, go to your My Page, and check the box to not show names of people registered under your account. The web site does not show names of registrants under the age of 18 and there is no setting for you to change that preference. Welcome to the new convention information blog. This blog will contain important information we release about the convention as we get closer to June. It is open for anyone to view. If you are registered for the convention (and paid) when a post to this blog is made, then you will also receive it via email. But, all of the posts are on display here for reference and for people that register after one of these informational posts is made. On the old website, this is akin to the prior emails link. If you are an all access registrant, you will see posts here that you do not receive via email because they pertain only to full registrants.